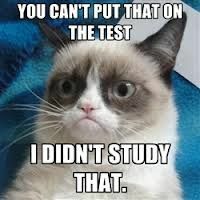 It was right before one of my finals last semester. Usually, exam classrooms are arranged throughout the UT campus. I overheard one MPA talking to another, “I walked to more places on the UT campus today than I did in past 4 months.” It is not surprising that PCL and the productivity center are top picks for most business students, particularly traditional MPA (tMPA) students, because these are close to classes and tMPAs have limited time to explore campus. Although I am now a tMPA, I happened to obtain my undergraduate degree here as a science major. Thus, I am more familiar with campus than most of my peers. 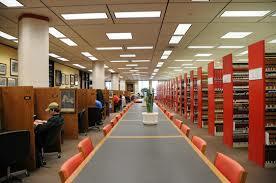 Here are a few libraries I would recommend if you are looking for a different place to study. This is probably the second largest library on campus, but it is a bit of walk from McCombs, approximately 15 minutes. It opens at 10 am on Sundays, which is two hours earlier than the PCL. I like the spacious cubicles that each have plugs and light, so I am isolated from distractions but still have plenty of space. One interesting thing is that once you see the amount of reading of others, who are generally law students, suddenly you will feel the amount of reading and writing you do is rather light. In my opinion, this is the most classical library on campus. It was built over 100 years ago, with antique furniture and modern equipment. If you can get a big table next to the window, it is an ideal place to study. The only downside is that you cannot bring food and drinks into library (you can leave them at the entrance desk). Another one is plugs are not as accessible in here as they are in PCL and the productivity center. It is located on the second floor of the tower. 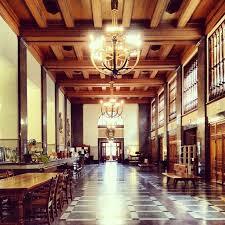 Similar to the architecture library, it has a main hall full of character and historical atmosphere. Some people say this hall reminds them of Harry Potter. You can bring drinks and food into the library, but the plugs are not very accessible at the long wood tables. They also have another area behind the check-out desk that has individual tables, separated by screens, and plugs are very accessible there, but the internet connection is not as good (To me this is actually a good thing, avoiding unnecessary web surfing). 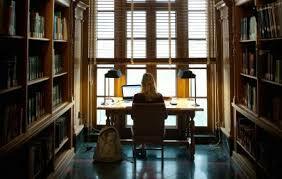 This place provides options for those who like to study in an open space, as well as those who like to study in more isolated spaces. Professor Singer, who had years of experience in International tax and Mergers and Acquisition tax, talked about an interesting court case about whether a pre-born child can be claimed as a dependent, since “person” is not defined in the primary tax sources. He also gave valuable career suggestions based on our individual backgrounds. For instance, my biochemistry degree may offer me an edge in dealing with tax issues related to biotechnology companies. Professor Holbrook, who worked in various professional settings- small, medium and large accounting firms and investment banking, among others, listened to questions from students and offered her opinion on what to consider when choosing between the tracks of audit or tax, as well as the differences between accounting firms of different sizes. UT MPA faculty are leaders in the accounting research arena and are experts in business fields. On top of that, they care your success and are generous with their time. Do not miss the opportunity to interact them in a small group setting. To give you an idea who is usually hosting lunch and what topics are discussed, here is the schedule for spring 2016. 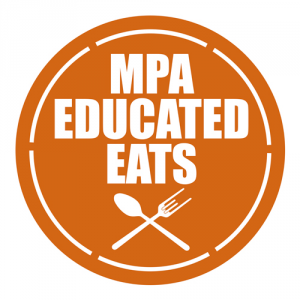 I am looking forward to MPA Educated Eats this semester! Even though scoring below average on exams was painful, I benefited by adapting new study methods that expand my learning capacity. Here are some methods I find particularly helpful. They are recommended by Dr. Barbara Oakley in her book A Mind for Numbers: How to Excel in Math and Science (Even if You Flunked Algebra), Penguin, July, 2014. Dr. Oakley is one of the instructors of the Coursera online course Learning How to Learn: Powerful mental tools to help you master tough subjects. If you have time, I strongly recommend you to check out this course, which offers exceptional study resources and interviews with some of the leading scientists and learners. Use recall. After you read a page, look away and recall the main ideas. Highlight very little, and never highlight anything you haven’t put in your mind first by recalling. Try recalling main ideas when you are walking to class or in a different room from where you originally learned it. An ability to recall—to generate the ideas from inside yourself—is one of the key indicators of good learning. Test yourself. On everything. All the time. Flash cards are your friend. Chunk your problems. Chunking is understanding and practicing with a problem solution so that it can all come to mind in a flash. After you solve a problem, rehearse it. Make sure you can solve it cold—every step. Pretend it’s a song and learn to play it over and over again in your mind, so the information combines into one smooth chunk you can pull up whenever you want. Space your repetition. Spread out your learning in any subject a little every day, just like an athlete. Your brain is like a muscle—it can handle only a limited amount of exercise on one subject at a time. Alternate different problem-solving techniques during your practice. Never practice too long at any one session using only one problem-solving technique—after a while, you are just mimicking what you did on the previous problem. Mix it up and work on different types of problems. This teaches you both how and when to use a technique. (Books generally are not set up this way, so you’ll need to do this on your own.) After every assignment and test, go over your errors, make sure you understand why you made them, and then rework your solutions. To study most effectively, handwrite (don’t type) a problem on one side of a flash card and the solution on the other. (Handwriting builds stronger neural structures in memory than typing.) You might also photograph the card if you want to load it into a study app on your smartphone. Quiz yourself randomly on different types of problems. Another way to do this is to randomly flip through your book, pick out a problem, and see whether you can solve it cold. Take breaks. It is common to be unable to solve problems or figure out concepts in math or science the first time you encounter them. This is why a little study every day is much better than a lot of studying all at once. When you get frustrated with a math or science problem, take a break so that another part of your mind can take over and work in the background. Use explanatory questioning and simple analogies. Whenever you are struggling with a concept, think to yourself, How can I explain this so that a ten-year-old could understand it? Using an analogy really helps, like saying that the flow of electricity is like the flow of water. Don’t just think your explanation—say it out loud or put it in writing. The additional effort of speaking and writing allows you to more deeply encode (that is, convert into neural memory structures) what you are learning. Turn off all interrupting beeps and alarms on your phone and computer, and then turn on a timer for twenty-five minutes. Focus intently for those twenty-five minutes and try to work as diligently as you can. After the timer goes off, give yourself a small, fun reward. A few of these sessions in a day can really move your studies forward. Try to set up times and places where studying—not glancing at your computer or phone—is just something you naturally do. Eat your frogs first. Do the hardest thing earliest in the day, when you are fresh. Make a mental contrast. Imagine where you’ve come from and contrast that with the dream of where your studies will take you. Post a picture or words in your workspace to remind you of your dream. Look at that when you find your motivation lagging. This work will pay off both for you and those you love! 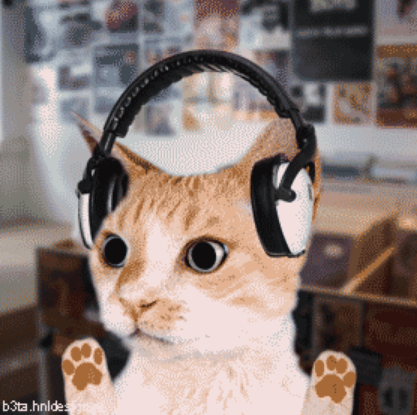 What Is Your Favorite Podcast? Freakonomics – “A podcast explores the hidden side of everything.” You might have read the book Freakonomics. If you like the book, then this podcast is for you (even if you do not like the book, still give it a try). This podcast is about challenging your assumptions of things we take for granted. Just like the icon, what you think is an apple may actually be an orange. TED Radio Hour– every episode has a theme and collects several related TED talks that depict the theme from different perspectives. For example, the most memorable theme for me was How We Love. The speakers’ perspectives include big data in online dating, neurological research, and sibling bonding. In addition, speakers are interviewed on the show and provide background on their talks. Masters in Business– I did not study business nor spend a lot of time to read about it, and I appreciate every chance to learn more about business informally. Every week, Bloomberg View columnist Barry Ritholtz has a conversation with people who shape markets, investments, and business. This podcast exposes you to topics like finance, economics, marketing, international affairs, regulatory agencies and environments, among others. If you would like to know more about the insider trading case? Mark Cuban offers his perspective in an episode. If you are interested in any of these podcasts, you can find them online or through podcast apps on your smartphone. During the recruiting season, it is very tempting to check emails and see if I get first-round interviews, replies for thank-you letters, invitations to events, second-round interviews, offers or not. 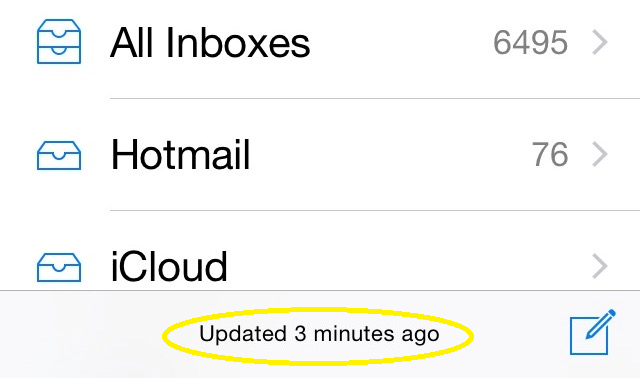 I am often surprised by the “updated three minutes ago” message that shows up on my screen, so I refresh and update again. As a result, my phone usually dies by midday. But more importantly, my productivity level drops because I no longer focus on the task at hand. It takes longer to produce lower-quality work. Human are curious animals, especially for things with high stakes. How do we make sure our curiosity does not ruin our productivity? My answer is to learn to live in the present by practicing meditation. 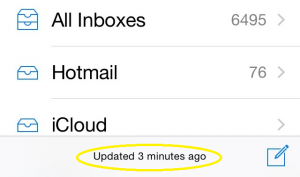 In my experience, meditation helps me to focus and combat temptation of checking emails more than necessary. By teaching you breathing techniques, guiding you through the practice, and introducing you to others who struggle to concentrate on one task at time, meditation practice group may help you improve your focus. At UT, there is a weekly, free “Mindfulness Meditation Group,” which meets from 12:15 pm to 12:50 pm every Tuesday on the fifth floor of SSB (Student Service Building). You do not even need to stay for the whole session. Drop by someday and see if it works for you.